Although haemolytic uraemic syndrome is rare, it is not uncommon. Here is a guide on how to treat and care for children and young people who present with the condition. Although haemolytic uraemic syndrome is rare, it is not uncommon. Here is an overview of the syndrome, with advice on signs and symptoms and how to care for children and young people. Haemolytic uraemic syndrome (HUS) can follow on from a preceding infection, often gastroenteritis, caused by consumption of unpasteurised foods and contaminated water. The peak incidence occurs between six months and four years of age. It is rare, but it is not uncommon for health professionals to see cases. A child may present with changes in their usual behaviour. They may demand attention and be irritable, however as the child has usually been unwell this deterioration may not be easily detected by the parents. They may also be feverish, pale, lethargic and this may be the result of anaemia. Vomiting and complaints of abdominal pain are common. As a result of dehydration the parents may notice that there is a reduction in urine output. They may also notice that their child is puffy (oedematous). Sometimes the child may stop passing urine completely and urgent intervention will be required. Other systems can be affected and signs of neurological involvement could include confusion and seizures. If a child is admitted with no previous history of a convulsion, but has experienced diarrhoea or vomiting, health professionals should be alert to the possibility of HUS. Once diagnosis is established the treatment is supportive, as the child is usually severely dehydrated rehydration and electrolyte replacement with intravenous (IV) fluids form the mainstay of therapy. These need to be administered with care because the kidneys may be affected. Monitoring of fluid balance is vital. Other measures include maintaining comfort, supporting parents and providing them with information as the progress of the condition is uncertain and they may feel guilty that they did not recognise the significance of the gastrointestinal symptoms and therefore did not seek medical help earlier. The child may need several transfusions to restore their blood count to normal levels and, because of the renal involvement, may be commenced on antihypertensive agents. There is some controversy about using antibiotics. In severe cases where there is renal failure haemodialysis may be required. Transferring to a specialist centre may put additional pressure on the family’s resources. There have been some experimental therapies with monoclonal antibodies and early results have a positive effect on the disease process. If a child has HUS with typical presentation the mortality is between 2-5%, if it is atypical the mortality is higher and can be 25%. 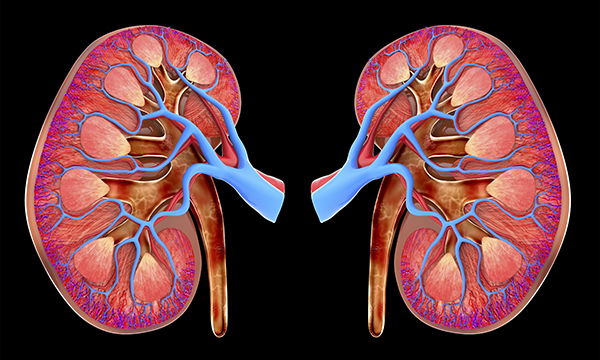 Occasionally there is resultant chronic renal failure and prolonged dialysis will be required. Darren was nine months old and admitted to the emergency department in a general hospital following a convulsion. He was accompanied by his parents and his medical history was unremarkable. He had experienced several loose nappies the previous day and had vomited twice. His mother had felt something he had eaten had not agreed with him. He had regained consciousness and was behaving in a developmentally appropriate way, if a little lethargic. His temperature was 39°C, pulse 110 beats per minute and respiratory rate 36 breaths per minute. The admitting doctor thought he was a bit dry and might have some abdominal tenderness, but could not be sure as he had become distressed during the examination. He was also too uncooperative to have his blood pressure taken. Paracetamol was prescribed to bring his temperature down and the working diagnosis was febrile convulsion. As there were no single rooms available the family remained in the ED and oral rehydration treatment was commenced. The children’s nurse chatted to the family to put them at ease and discovered that two weeks ago the family, including Darren, had tasted some continental cheeses. Stools tested positive for blood. The medical team ran a full blood count, electrolytes, lactate dehydrogenase (LDH) and C-reactive Protein (CRP). They requested stool sample analysis, now suspecting Escherichia coli. His blood pressure was 110/75 – still high. Blood results later indicated anaemia, clotting anomaly and infection. He was transferred to the regional children’s hospital as he was at risk of acute kidney injury and might need specialist renal support.